What is the Bible? Is it the Torah which was revealed to Musa? Is the Zabur which was revealed to Dawud? Or perhaps the Injil which Allah revealed to ʿIsa? Does it prove he was God? Are there elements in it which support the Islamic claim of his prophethood of ʿIsa? This course provides all the details for Muslims to understand what the Bible is, and what Islam’s perspective on it is. Perfect for those wishing to explore Christianity under expert guidance. Knowing one’s beliefs clearly is essential. It protects one from false information and confusion. However, sometimes we must engage with people of other faiths, so it is important that we know what they believe, as it promotes better understanding and aids in conveying our beliefs effectively. 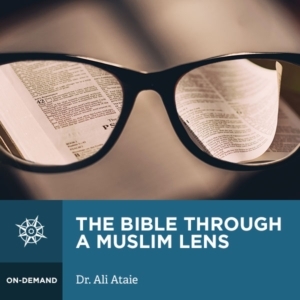 In this course, Ustadh Ali Ataie, an expert on Christianity, takes us through the Bible giving us a detailed explanation of each gospel, Christology, and how the Bible was compiled. We learn about each of the four gospels in detail, how they deal with the old testament, its prophecies, and Jesus in general. All this is done with a Muslim’s perspective on the material and through recognized Christian sources. Ustadh Ali’s deep knowledge give clarity and detail to this topic which many find too daunting to approach, lest it causes them doubts and confusion. It is essential for anyone wishing to engage in dialogue with Christians, or interfaith forums in general.